Are you new to Instagram? 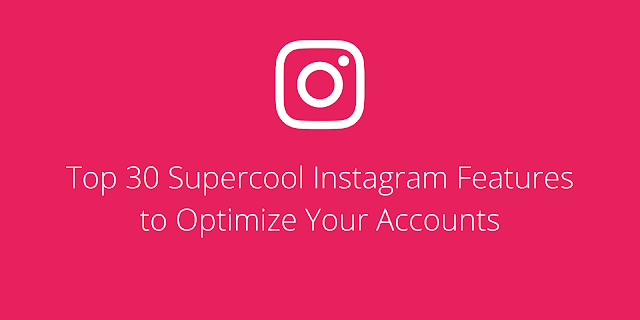 Wondering how to use most of the Instagram features? Then, download these slides, to find out top 30 super-cool features that you're probably not using yet. How do you know quoraQuora is one of the engaged distinctive website, where questions asked and knowledge shared by its users. You can ask questions and connect with people to contribute their knowledge. If you know how to write a feature rich answers and posts on Quora, you can transform it into a traffic driving machine to your website or blog. As on March-2016 Quora had 100 million monthly unique visitors because it claims. That is far better than Google plus I feel. Quora has many opportunities to learn and share knowledge. In case you’re a learner then you can choose to write blogs, posts, ask questions and write answers. In-fact this blog post is an inspiration out of my regular engagement at Quora. Try not to fake, be honest and credible On Quora, always try to write fair and solid responses for questions that you follow. Five easy ways to do Keyword research for SEO (Tips and Tools) First, act as user: You need to be or act as user and search on Google, Bing search engines for keywords related to your business. For instance, if I search for “Digital Marketing institutions in Bangalore” I can find a search suggest drop-down list of keywords on search box (See in below depict). Those are the most useful and related keywords that are already been searched by millions of users, being suggested by Google prominently. So, write-down or make a note of all those first 5/10 keywords. So, above depict clearly portrays the future of email marketing in the year 2017 that, future is of interactive emails.